It is often very convenient to analyze rays with specific qualities in order to assess the design and make adjustments to improve performance. 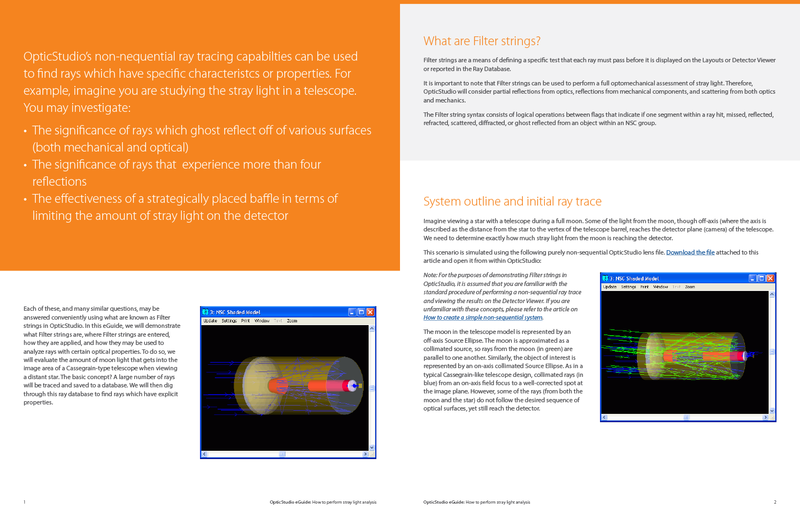 The Filter string is a convenient tool in OpticStudio which allows the definition of a test that rays must pass before they are drawn or displayed. 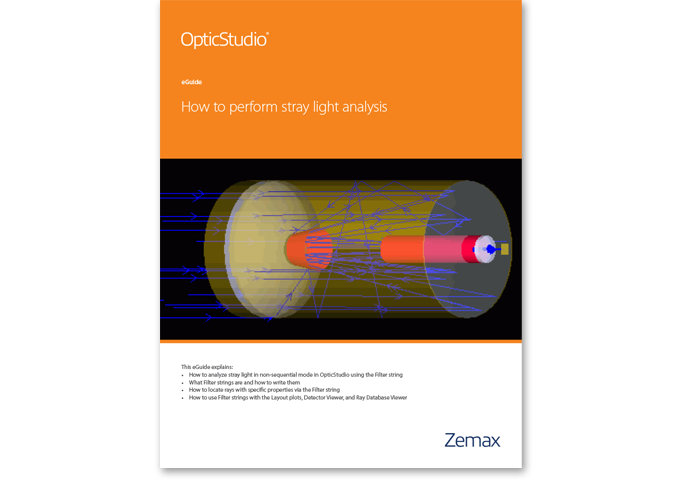 Filter strings can be used to perform a full optomechanical assessment of stray light, and will consider reflections, scattering, and coatings to both mechanical and optical components.